As a building owner or property manager, it’s up to you to keep your buildings’ roofs weather-tight and fully functional. Luckily, with NCFI’s high quality EnduraTech™ spray foam roofing solutions, it will do all this and more. In fact, with our products, your roof will actually help lower your energy and maintenance costs, as well as reduce your building’s environmental footprint. 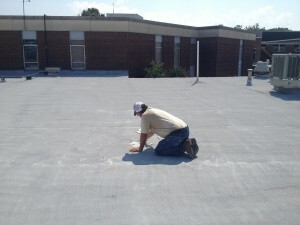 Our EnduraTech™ spray foam roofing systems contain only the finest raw materials that we secure from reliable sources, and once manufactured all of our commercial roofing products undergo rigorous quality control testing. This ensures that they meet our high standards and specifications, which in turn ensures they will meet exacting expectations for your building or property. Our EnduraTech™ family of products are maintainable for the life of the building or residence, eliminating the need for replacement, and reducing your energy and maintenance costs. You can also trust our specially trained Tier One Applicators since they’ve passed our comprehensive training program, one that covers our products and the equipment necessary to apply them. If you have a technical question about any of NCFI’s commercial EnduraTech™ spray foam roofing solutions, we offer on-site technical representatives to help solve your most daunting roofing problems. Also, feel free to contact NCFI to get any of your questions answered. 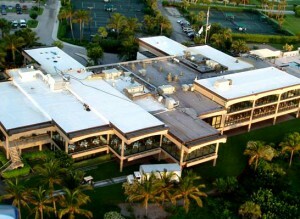 Ready to speak with a qualified applicator about your roof?